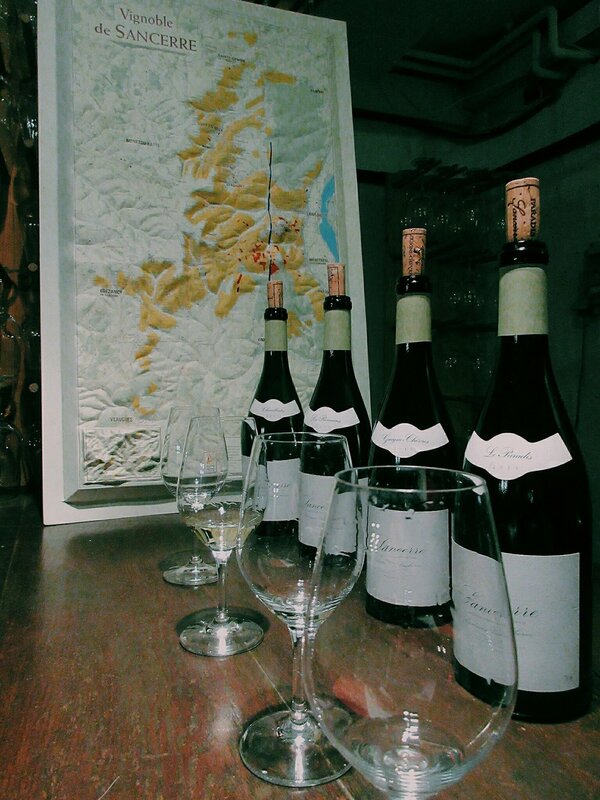 Domaine Vincent Pinard is a small estate of 17 hectares (75% Sauvignon, 25% Pinot) based in the village of Bué and still run by the Pinards, who are 20th generation Sancerrois! Their vineyards are based on the hills around the village itself on mainly stoney calcareous soils known as "Caillottes" (Little Stones). In parallel to Vacheron, their philosophy is based around restricted yields to preserve quality, single plot fermations and delicate oak influence in the cellar. We were shown around by Vincent's youngest son, the charming rugby-playing Clément Pinard. Who treated us to the highlight of our trip, a comprehensive sampling of his back vintages. Pinard is known as something of a Pinot specialist, and whilst his were superiour to Vacheron's, the awesomely mature whites still stole the show, bravo!